Van Gogh's Starry Night wallhanging--all ages welcome! 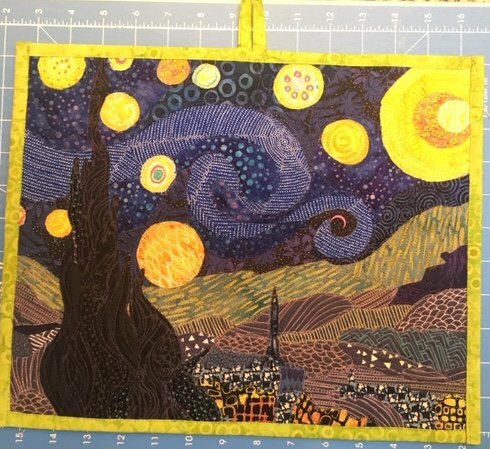 Create your own version of Van Gogh's Starry Night painting---using textiles! Join this class and learn the fun and creative applique' technique that makes it easy to create beautiful, fanciful wallhangings or quilts. In this class, you will make an 11' x 14" wallhanging or placemat of Van Gogh's Starry Night scene. You will learn the skills to transfer your own print images or ideas onto fabric. All materials are provided. A short essay regarding Van Gogh is requested but not required. Requirements: A sewing machine in good working order. 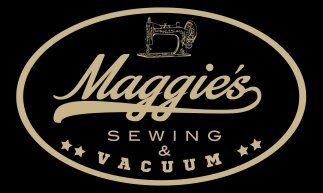 if you do not have a sewing machine, we can provide one for you at class. A short essay about Vincent Van Gogh. Requested but not required. Bring your lunch!